are people who have contributed supplies, services or funding to support this exciting public art, community service project. Click here to see how you can become a Project Scarf Angel. Thank you for helping us build this program! 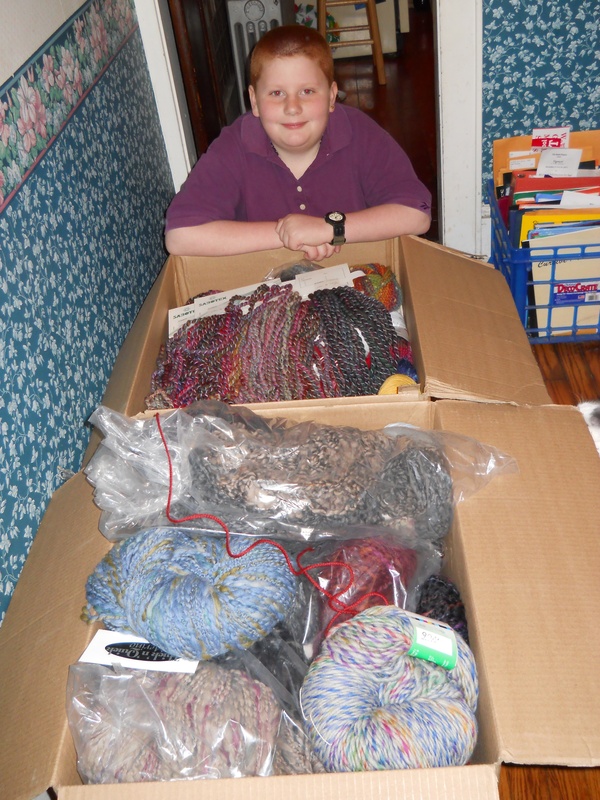 Jeffrey at Knitting fever has been a long time supporter of KnitLit, and sent two large boxes of GORGEOUS yarn as a donation to Project Scarf. We are so grateful!